DWCA is committed to ensuring that EVERY student has the opportunity to explore and build an interest in science, technology, engineering, and mathematics. The strength of our nation depends on increasing all students’ involvement in STEM, especially those most under-represented in STEM, and in helping them to develop critical thinking, problem solving, and collaboration skills that are so important throughout life. While the percentage of careers that require advanced STEM education increases, an alarmingly high percentage of students lose interest in STEM subjects early in their development. If the U.S. is to maintain its competitive advantage in the global economy, we need to ensure that our entire population of young people are educated in STEM fields for the 21st century. What are the two methods of Scientific Thinking? -Ecosystems, Biomes and the Cycles of Life. -What are Atoms? Parts of an Atom. 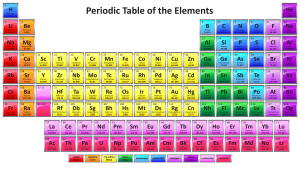 -What are minerals and their properties?